As per Reliance Jio’s terms and conditions, users will not have to pay any additional charges for using 4G data to make VoLTE calls over the network. But, how will the company sustain their business model while paying interconnect charges, still remains a question. Reliance Jio has rocked the telecom industry, after all the alarming announcements made by the new network provider yesterday. 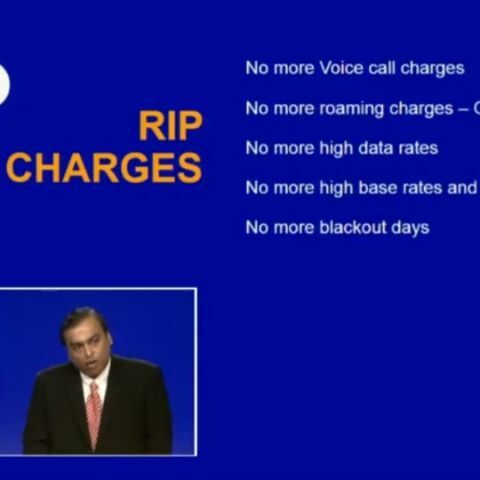 The biggest out of all was Jio’s claim that it will be providing a lifetime worth of free domestic local and STD calls to all its users. Post the announcement, Director General of the Cellular Operators Association of India, Rajan Mathews, was reported saying that all calls on Jio’s network will not be free, since the company will have to pay additional interconnect/termination charges, and that calls made over its Internet Protocol-based network will incur data charges. Let’s put this into context. Since Reliance Jio is an IP based network, it uses the internet to make voice calls. This is a fact. As far as Interconnect/termination charge is concerned, this is a cost payed by one telecom operator to another for connecting phone calls. So, if you call an Airtel mobile number from your Jio number, Reliance will have to pay Airtel an interconnect cost of 14 paise. This is affirmation of the fact that users will not be depleted of any data while making voice calls over Jio’s VoLTE network. Coming to the issue of Interconnect charges, the Telecom Regulatory Authority of India (TRAI), has already floated a paper considering removing the Interconnect charges for VoLTE calls. The 14p cost incurred for the same, makes for a huge part of the revenue generated by operators and the proposed TRAI regulations are set to favour operators like Jio. Now in India, a large part of operators still function on traditional circuit switching networks instead of IP switched networks (like Jio), which is why industry body COAI is opposed to the removal of Interconnect charges. Just like you don’t have to pay any termination charges for using Google, because its data servers are hosted outside of India, and the Internet is the biggest free IP network, the TRAI wants to do away with the termination costs for IP-based telecom networks. So yes, Reliance Jio may have to incur the interconnect/termination cost of 14p as of now, but the same will not be passed on to the consumer as per the T&C of the company. How the company will manage to sustain its business model, while paying these charges from its own pocket, is still a question. But, if TRAI removes any interconnect charges, which have already been revised from 20p to 14p, RJio has nothing to worry about.